BRISBANE property group Citimark has broken ground on its landmark $85 million Silkstone urban renewal project in Ipswich. The 14-hectare site will comprise a shopping centre, residential subdivision and parkland, with more than 75 per cent of the first stage already sold. Citimark joint managing director Angus Johnson says the project is a key part of the suburb's wider transformation, which has attracted property fund ISPT, international and interstate investors and local owner occupiers to Ipswich. "Following months of preparation, we've begun the construction phase on what is one of the most significant residential projects underway in Silkstone," Johnson says. "Silkstone Residences is affordably priced with a high standard of fixtures and finishes that are unparalleled by other developments in the area. "The project's premium location and its proximity to amenities and transport have resonated with buyers." 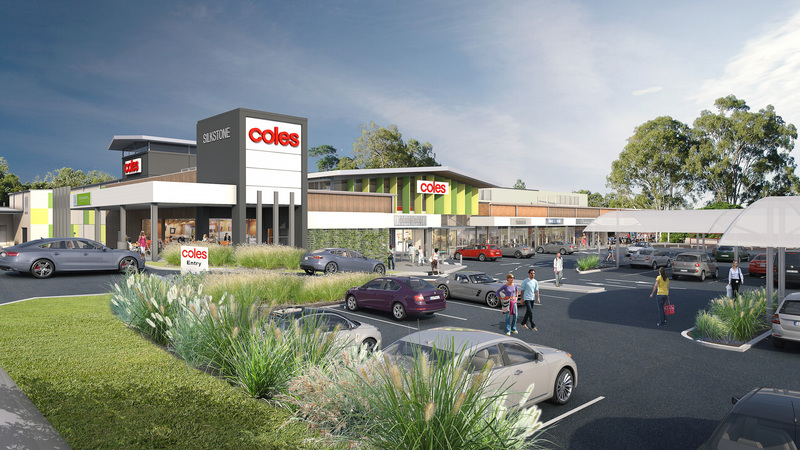 Builders Urbane Homes and QNV Constructions have been appointed to construct the residential element, with Hutchinson Builders awarded the shopping centre contract. Silkstone Residences will feature 91 traditional houses and 49 terrace homes on lots ranging in size from 185sqm to 500sqm, with house and land packages starting from $329,000. The Silkstone projects are part of Citimark's $1.5 billion diversified development book which is currently focused on south-east Queensland. Image: Cr Andrew Antoniolli, Mayor Paul Pisasale and Citimark joint managing director Angus Johnson.